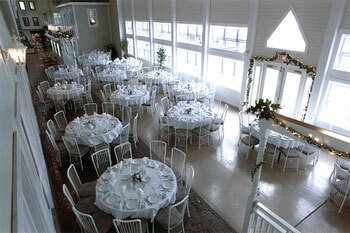 Your guests will long remember the ambiance, the food, and your wedding day celebrated at Erie Canalside. 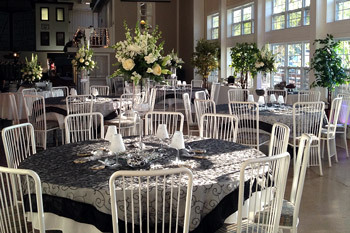 Our diverse and flexible location makes it easy to arrange your entire day. 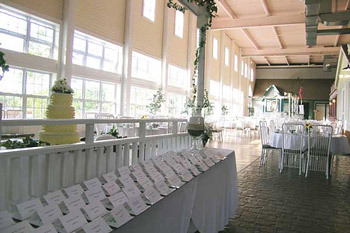 Following cocktails, hors d' oeuvres and a complimentary toast for all guests, dine on outstanding food - freshly prepared just for your wedding by our professional chef using only the highest-quality ingredients. 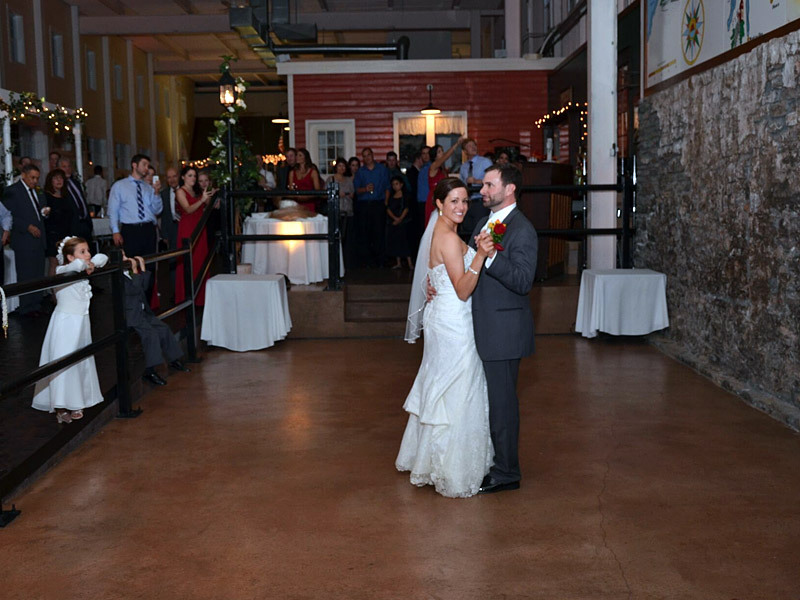 After the wedding cake of your dreams has been served, your party will continue as the dancing begins on the large patio-style dance floor or under the stars in our covered pergola. 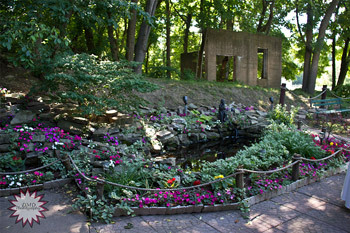 Beautiful formal pictures can be taken inside our unique renovated 1840's Canal Side building or anywhere on the landscaped grounds. 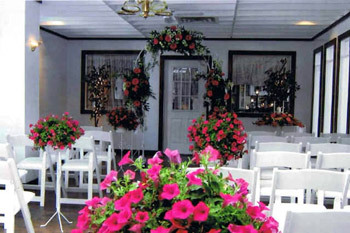 We invite you to plan your Wedding with us. 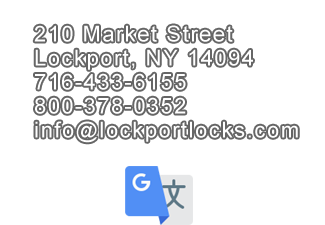 Call 716-433-6155, or toll-free 1-800-378-0352. 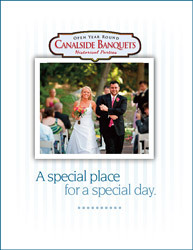 Click image to download our Wedding Menu. 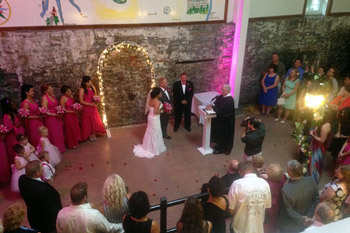 Your wedding ceremony can be performed in our beautiful Veranda, or in the chapel atmosphere of the Meeting Room. 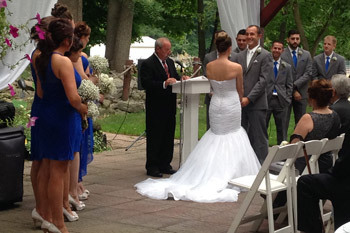 Prefer an outdoor wedding? 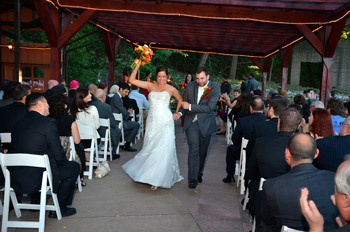 Be surrounded by nature and beautiful landscaping as you wed under the pergola by the pond in our private grove. 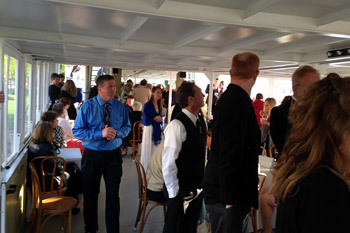 For a truly unique ceremony your guests can watch from the decks of the boat as your ceremony is performed dockside. 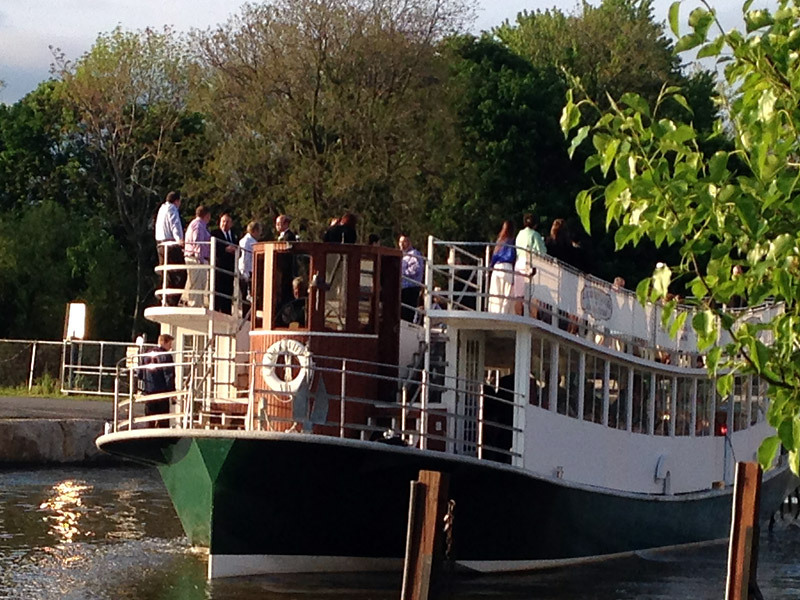 As newlyweds, join your guests for a memorable one hour wedding cruise before your reception. 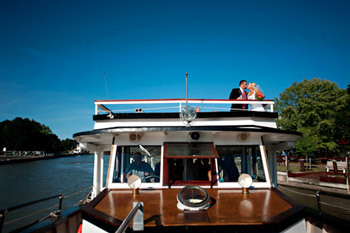 Canalside offers both indoor and sheltered outdoor reception and ceremony areas. 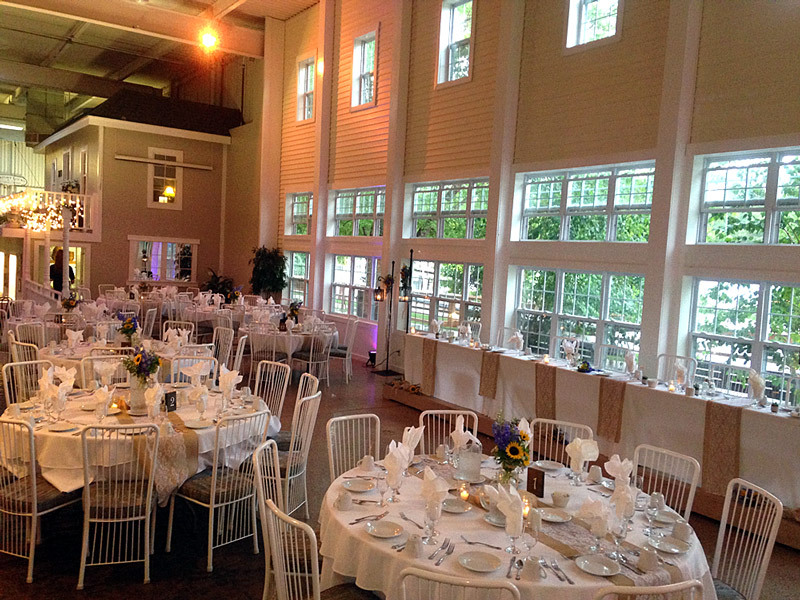 The location(s) you reserve will not be open to the general public during the duration of your event.